Best Forex Broker in USA? If you are looking for Forex brokers accepting US clients you’ve come to the right spot. There Aren’t many Forex brokers accepting US clients anymore, so searching for a reputable Forex broker can be challenging. Luckily for you we’ve done the leg work for you. Down below you will find the best Forex broker in USA accepting US clients. These brokers are reputable and known as the best Forex brokers in USA. Because of strict regulation in the United States many Forex brokers shy away from the US market leaving the retail Foreign exchange market in the USA with very little choices. Make sure you check out our Forex Broker List From Around the World. Limits leverage to 50:1 on the major currencies. Limits leverage of 20:1 on minor currencies. US residents are only allowed to trade with US Forex brokers under NFA regulations. Money owed by the fx broker to the client should be held at one or more qualifying institutions in the US. retail forex trading brokers in the United States must maintain minimum capital of at least $20 million and 5% of the amount by which liabilities to retail fx customers exceed $10 million. Making it tough for any new comer to the business as it take a lot of capital just to get started. provide weekly financial statements to the NFA to ensure that all financials are in order. The popularity of forex trading continues to increase. The market is quite literally flooded by thousands of forex brokers from different countries. The existence of so many choices overwhelms new traders. Choosing the right forex broker is essential to becoming a successful trader. Unfortunately, the forex trading market doesn’t have any universal regulation, unlike the stock market. The traders are responsible for choosing licensed and regulated forex brokers. Many countries allow forex brokers to operate, without stringent licensing requirements. US foreign brokers are one of the safest brokers because the USA requires all FX brokers, to operate with an appropriate license. Regulated forex brokers must ensure the security of invested funds, thereby protecting your money. The US government has taken immense measures to regulate the forex trading market. The Foreign Exchange brokers operating out of USA must comply with the requirements of the NFA (National Futures Association) and CFTC (Commodities & Futures Trading Commission). Some FX brokers complain that the stringent regulations prevent them from providing great profit opportunities for their traders. However, these regulations guarantee that traders can have peace of mind, while investing their money in the highly volatile market. The USA forex brokers should adhere to the NFA regulations and register with CFTC, before commencing forex operations in the USA. This was not the case before 2008. Previously, any broker from any part of the world could provide forex trading services to US citizens. Following numerous frauds and scams, NFA and CFTC have limited the freedom of retail Foreign Exchange Brokers. What are the regulatory agencies who oversee the forex market in the US? The U.S. Commodity Futures Trading Commission (CFTC) is the main government regulatory body for the stock and forex market. Additionally, the National Futures Association (NFA) is a private organization or watchdog agency, who strongly regulates the futures trading. NFA enforces that each of its member meets their regulatory responsibilities. Both the CFTC and NFA protects the market investors and the American people from abusive practices, frauds, price manipulations and any illegal activity related to commodities, futures, forex and swaps market. In short, these agencies help any US resident to determine or identify if any broker is reliable, legally entitled to offer its brokerage service and trustworthy. Both NFA and CFTC want to ensure that Forex brokers follow ethical business practices to protect the US financial markets. According to the guidelines, the brokers must have operating capital of at least $20 million. This working capital requirement increase, as the brokers serve more clients. It is mandatory to have the client funds in segregated accounts. This limits the exposure of Forex brokers to traders’ funds. The FX broker will not be able to use the funds of traders to meet their operating expenses. Brokers can’t tamper with price feeds and trading platforms. NFA imposes huge penalties, if any broker is found manipulating the market. NFA requires brokers to have a detailed procedure in case of lawsuits, bankruptcy charges or other liquidation processes. Forex brokers should also provide guaranteed customer service for the clients. Once a trader makes a withdrawal request, a USA regulated Forex broker must process the request quickly and they have no right to withhold payments, unless it is warranted by a federal authority. Traders too must adhere to the deposit requirements, according to anti-money laundering laws. To ensure adherence to FX regulations, all Forex brokers must submit audit reports and financial statements to the NFA periodically. This should contain tracking information of all transactions. NFA takes the responsibility of supervising all activities to ensure compliance with NFA and CFTC regulations. The highly regulated Forex brokers provides a safer trading environment, by protecting the trading capital. Any broker found violating the regulations will get their license suspended or terminated. Can I trade Forex if I live in the US? Yes, you can trade Forex either if you are a legal US resident or citizen. The only restriction for US resident is that must open a Forex account with a broker that is regulated and located within the United States. There are no other restriction of any kind to Forex trade in the USA. Indeed, every single day billions of USD are placing into the market to be exchanged for other currencies, or to pay for imported goods and services. The American dollar is the most widely traded currency. The United States Department of Commerce reports that almost every American citizen uses the Forex market at least once a year. American people can exchange USD or any major currency at bank locations, international airports and Foreign Exchange outlets located around the country. The American financials corporations represent more than 55% of the world Forex market trades. Moreover, when the American people buy from the biggest e-commerce retailers acquiring goods overseas they are indirectly taking part of the FX market, the same principle applies to any purchase done overseas and pay with any credit or debit card. Can US residents become Forex traders? Of course, US residents can become Forex traders as soon as they are 18 years old in some states and 21 years old in most of them. However, as a minor, US residents can legally deposit money into a custodial account and his parent, legal guardian, or testament tutor has to place the orders on his or her behalf. Any providers of financial services, such as banks, retail brokers, mutual funds, and loans, must be fully entitled and licensed by the regulatory government bodies or supervisory entities to offer his/her service in the countries in which it operates. Are there any offshore Forex brokers accepting US clients? Because of the extremely demanding requirements of the United States regulatory agencies, very few FX brokers either have the monetary capital to fulfill it or consider the US market profitable enough to go through the process. Are there any offshore FX brokers that accepting US clients? NO. And if you do come across one stay clear of them. They are most likely a SCAM. There are a few Forex sites claiming to accept clients from the United States, don’t be fooled they are most likely not allowed to accept US clients and your money may be at risk. The Fx market is mostly unregulated. The little regulations and control on retailers and over the counter Fx outlets had created some legal loop holes that have been exploited or used by scammers and con artists to take advantages of investors and traders, robbing of their money or invested capital, or not paying the promised revenue for their investment. 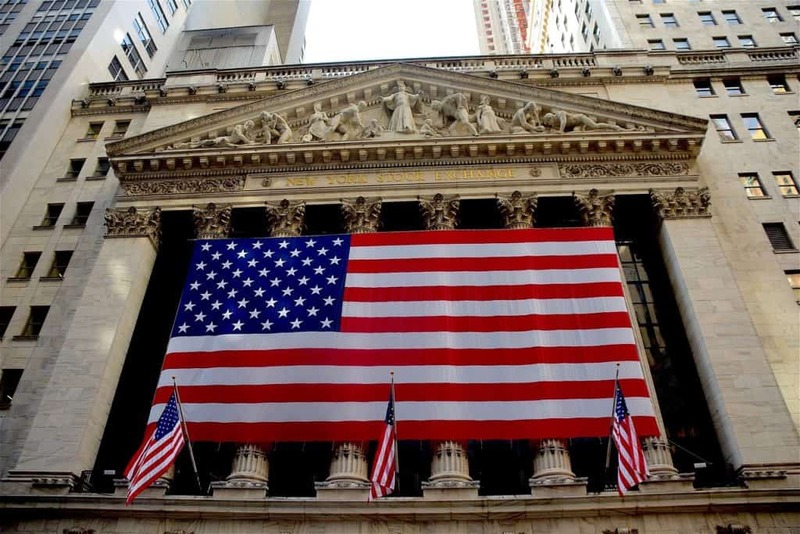 The US government, in an effort to maintain the needed trust and faith in the market, and to protect the peoples money and improve the trading conditions with clear guidelines and rules, approved the Dodd-Frank financial reform legislation in 2010, after the financial crisis that affected the US economy. The legislation has the intention of achieving better business practices on Wall Street. Unfortunately, after its approval, hundreds of retail Fx outlets left the country because of stringent rules and regulations. Notice that no limitation or restriction are imposed to any US resident to legally trade Forex. What are the differences Between US authorized Fx brokers and other Fx Brokers? After going over dozens of reputable and trustworthy Fx broker, it was impossible to find any real difference in the services offered, the trading platform or the order placement process. Any legally entitled and fully compliant Fx internet broker must follow strict guidelines to ensure the safekeeping of the users money, the transparent management of their funds, and adequate orders placements. Most Fx brokers segregate the users’ money from their own. The best Fx brokers disclosed the cost and fees for any order placement or opening position. The only differences found are related to their regulations and the restrictions those government agencies imposed over them. The Trump’s administration is moving forward to deregulate the US market and eliminate the Dodd-Frank financial reform legislation. For this reason, A more affordable environment and softening of retail broker’s regulation is possible in the near future, which will open the door for more FX brokers to enter into the American market and provide their FX brokerage services to the American people.